Since 2010, we have been supporting promising students from low income families to continue their education and take the Plus 2 (equivalent to A levels). 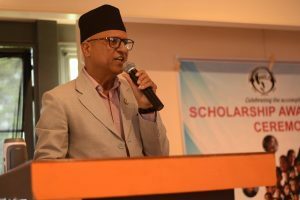 This summer, we welcomed 60 new scholars to our family with a ceremony organised by our local team, the Helambu Education and Livelihood Partnership (HELP), in Kathmandu. This takes our total number of scholarships awarded to 333! Jimmy Lama, Mondo’s country manager and his HELP team, have spent months sifting through applications from keen students from rural areas who exhibit great potential. The students come from rural backgrounds and many have attended schools supported by Mondo and HELP through the years. Each student must fill in an application form and submit three essays. 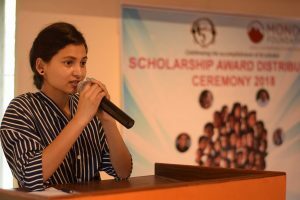 In their essays, the students write about their motivation behind choosing a particular subject, their economic and social status and their long-term goals. In addition to the application, their GPA marks as well as their performance at a one-to-one interview are major considerations. HELP also conducts cross checking to verify the validity of the information provided by the students. With hundreds of submissions whittled down, and many interviews conducted, the HELP team finally settled on the list of scholars to be supported this year. 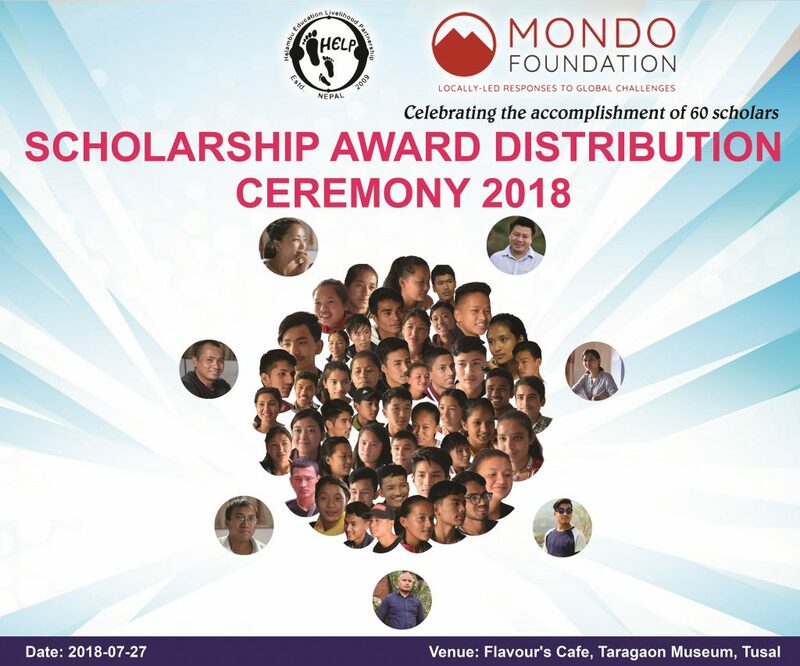 To recognise the achievement of the students, and to create the sense of community that will support them over the next two years, HELP organised a ceremony hosted at the Tarragon Museum in Kathmandu. Saru Giri, one of the HELP team, was one of the MCs for the day. 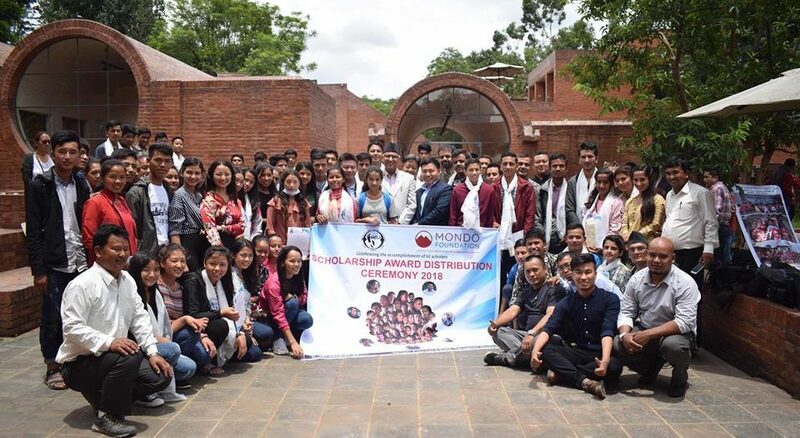 Four years ago, she herself was receiving a scholarship from Mondo and HELP, showing just how much of an impact the funding can have for students’ future prospects. The chief guest for the ceremony was Hon. Dilendra Prasad Badu, a former education minister who started his career as a teacher. Another minister, Hon. 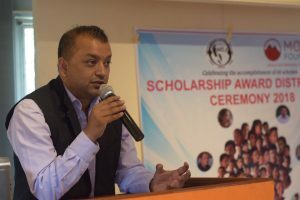 Gagan Thapa, addressed the scholars and shared inspirational stories from his own life to show the scholars the endless possibilities on offer after gaining a good education. At the ceremony, a number of students received awards for outstanding achievement. Hon. Gagan Thapa presented an award to Karsang Lama from Shree Melamchigaon School. Karsang, from a small village in Helambu, lost his friends at the age of six. He walked hours to attend primary school and eventually finished his SEE from Shree Melamchigaon School with GPA 3.8. His success is a combination of his hard work and the support he received at his schools from his headmaster and teachers. Hon. 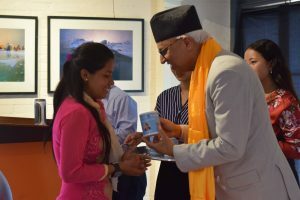 Dilendra Prasad Badu presented an award to Aarati Rijal from Shikharpur. Aarati endured early family tragedy when her mother passed away when she was very young, with her lack of fixed location causing her to move from school to school. A very outspoken and confident student, she spoke of her desire to build a career in politics. We wish the new cohort the best of luck in their studies and look forward to hearing about their successes over the coming years.